A Good Day To Be Happy! Waffle Flower Bouquet Builder! Hello crafty pals! What's up? I'm feeling back to my old self again after being sick all weekend and the beginning of the week. Looking forward to getting back out into the world! I have dinner plans with my friend Friday night and I can't wait to see her and get to gabbin! This weekend has a lot going on but I'm not sure which activities if any we'll participate in yet. It was 87 degrees here on Tuesday!!!! WHAT?? I'm not ready! Not ready at all for that! Luckily it already cooled off. Whew. If you've known me for a while you know I am not a Summer person! But, it's one step closer to FALL!! LOL. The lovely Nina at Waffle Flower was kind enough to send me out a stamp set from their April Release, and I am so excited to share it with you today! It's called Bouquet Builder 1 - and I combined it with some other favorite Waffle Flower supplies to make a bright, fresh, Sping-y floral card. I used a vivid shade of magenta/purple which I never use! I love it! My coloring medium for this project was my Zig Clean Color Brush Markers. Haven't used them in a while. I popped it with some fresh white embossing on black paper - which always looks nice. All my supplies are listed at the bottom of the post! I started with a white A2 card base and layered magenta paper from my stash. Then I die cut a scalloped rectangle layer from the Waffle Flower Lacy Layers Die Set for the top layer. This was my foundation for the florals. I stamped the two big flowers and the leaves and cut them out by hand (don't look too close!) since I don't have these dies yet. I used my Zig Clean Color Markers and a water brush and colored in the flowers and leaves. Very easy to work with these markers. You can color directly onto the paper, or paint some of the marker onto a stamping block and pick up the color with your brush. Here is a close up of my paper layers. The sentiment is from the Waffle Flower Happy Day stamp set and I heat embossed it in white embossing powder onto rich black paper and trimmed it down with my paper trimmer. When I attached everything to the card, I used foam tape and layered it this way and that way until I found a good balance. When I attached the sentiment, I tucked it under one of the leaves. I like how that part came out! I only used these five colors! Here's a close up of the flowers. You can also see that I sprinkled a few sequins here and there for some sparkle! Watercolor tropical leaves and no stamping cards! Hi everyone! This week sure has gone by in a flash! Hope it's been a good week for you. I have been doing good and enjoying this mixed up season. One day it's hot, the next day it's cold, the next day it's raining! I'm fine with it, because I'm dreading the HOT temps that will be here soon. Spring is really pretty where I live. Everything is like on steroids around here and SO green! I keep remarking to myself - wow!! In California for a number of years we had a drought. Now I think it's shocking to see things so pretty and lush - the way they really should be. We've already had tons of flowers too. A few weeks ago I bought a new plant for my studio (There's a picture of him later in my post) and that plant inspired a whole bunch of creativity! Well, the plant, and my love for anything tropical related!! I watercolored tropical leaves dies like a crazy person.... And now they are all turned into cards and finally photographed for a blog post! I went a bit out of my comfort zone with my use of color and design elements. I used Navy and Pink card bases and no stamping! I often find that I make cards with no stamping - just die cuts. And the Navy card base is going in my repertoire for sure! I know I've mentioned this before, but I am LOVING my new watercolors so much. I feel like the colors and the texture of these are making me a better painter and it makes me happy. This is one of those posts that has tons of pictures, so I hope you enjoy them! Best wishes for a beautiful day today wherever you are! I have three cards to share today! In one sitting I colored all the leaves and the pineapples. They sat around in my studio for a few days until I had time to make them into cards. I don't usually work like that and it was freeing to sit down and paint one day without worrying about the final outcome!! The first card I'm sharing is this navy number! OOOH LA LA! At first I was going to use black paper but then I thought....let's try something a bit different. And I really love it!! A simple A2 card with one layer of the same color on foam tape. I splattered gold paint onto the top layer before attaching it. A better close up of the watercolors and that gold!! The leaves were attached to the card with foam tape. The Hello was glued with clear glue - and attached to the leaves so it's 'floating' out there. I used my tweezers for this part! Okay, this next card makes me think of Miami Vice!!! LOL. Plus, the 80's. OH MAN.... I was a complete prepster back in the 80's and I used to wear pink and green ALL THE TIME! I even had lime green corduroy pants!!! (With my top siders of course and my Polo shirt - collar up).... What a hoot. So I always love pink and green together. Again, for this card I tried a different color - blush pink. Reminds me also of the Royal Hawaiian Hotel in Honolulu...I can almost feel the breeze.... This card was super easy to make. Two layers of pink cardstock...A2 folding on the side. I wrapped some twine around the top layer and then used foam tape to attach three leaves. The hello die was colored with watercolors also. I attached it with clear glue to the tops of the leaves. I added a few white glitter enamel dots. This card is really fresh! I used Copic Opaque White with a very small paint brush to splatter white paint onto these Waffle Flower Greenery dies... Just a bit of that white goes a long way. I used the Simon Says Stamp Stitched Rectangles dies for the top pink layer. Okay...for this next card you'd better put on your sunglasses!!!! LOL. I colored one of the big leaves HOT PINK!! Yikes! It's so pretty!! This card has leaves and pineapples! The pineapples are the dies from the Concord & 9th Pop Art Pineapples set. The pineapple is in two pieces so it was really easy to paint. My card base is wood grain paper from my stash and then I layered watercolor paper on top. I gently painted some aqua behind the grouping of elements. I splattered more gold paint (who can resist) onto the leaves and the background. The one leaf is painted solid gold. Yum. Here's a close up of all that color! I had Nuvo drops that matched exactly!! The hello die is from the Simon Says Stamp Hello Beautiful Gorgeous die cut set. All the pieces were attached with foam tape of course. The hello die was adhered with glue and tweezers. I was trying to get the gold to catch the light in this photo. It's very bright and shiny. For most of the watercoloring I used a wet to wet technique. That means I first wet the pieces with clear water from my paint brush and then dropped the wet watercolors into the water. This technique really helps blend the colors and makes a softer look. I also think that it is much easier that trying to watercolor on dry paper. Have you tried both?? Which do you prefer? After I painted the leaves I wanted to Instagram that step. I love to practice my photo skills by taking pictures like this - gathering up elements from my studio and trying to create a mood. I really feel like I'm learning every day in this regard. It is relaxing to me to get into the moment and create in this way. Queen & Company - Beautiful Shaker Card Sets! Love Jar Kit! Hi everyone! Happy Monday! Did you have a good weekend? I had a really busy and nice day on Saturday but yesterday I was feeling a little slow and down. I think my allergies are in full attack mode and I basically felt like a giant banana slug....which isn't a pretty picture. I took it easy yesterday, and now I'm ready to tackle a new week. Let's start off the week with something fun! I am a new affiliate and part time designer for Queen & Company! This is a new partnership that I am very excited about. Over the past couple of months I've had the pleasure of getting to know the ladies who run Queen & Company, and the other designers. What a lovely and generous bunch! I feel very lucky to work with them! If you've never checked out their products - you're in for a treat! CLICK HERE to visit their website. I've been a FAN for years! They have the coolest embellishments in town...and awesome card kits! Today I'm sharing a project made with the Love Jar Kit! It's a pretty mason jar set of dies with floral and tag stamps.... I always love that look. 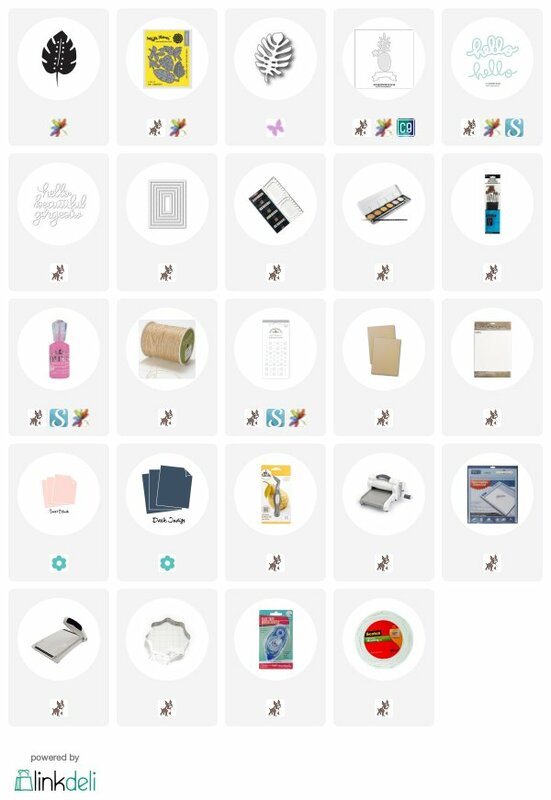 BUT, you also get a full 6x6 paper pad, extra filler parts, and GOBS of shaker contents. When I first got my kit in the mail I was shocked at how much comes in it. Truly a great value. For details about the kit I'm using today CLICK HERE or check out the links at the bottom of my post. I instantly had lots of ideas for this kit - especially in terms of color schemes. I decided to use grey, light blue and pink since it's so fresh and pretty for Spring. I just organized my solid cardstocks in my studio and it turns out I really love grey cardstock! LOL. I like how it grounds other colors, without using black. YUM. Here's my card! I started with a crisp white card base in A2 size and then layered grey cardstock and vellum and attached it to the card for my bottom layer. My top layer is white cardstock with strips of the pretty patterned papers from the kit. I love that grey background floral! I die cut my mason jar parts and used the die cut as a template for where to place my stamping. I went to town stamping all those flowers and leaves bursting from the top! The mason jar dies have the main part, the scalloped edge border and the lid all separate to make it easy to layer different colors. There are also two matching tags dies to choose from! I used the tag and some twine to tie around the top of my jar. One of the many things I love about these kits is that it makes it sooooo easy to create beautiful shaker cards. I must say that can be sort of intimidating. They take all the guesswork out of it with the die cuts and the already pre-cut out sticky foam parts. You get to enjoy the fun part - choosing what bits to put inside! NO stress. In case you can't tell, I am really impressed. Here is a video from them showing you how the dies and foam parts work: CLICK HERE! The hard part was choosing which of the bling and gems, and confettis to put inside! I went with a soft mixture of clear gems, and blue, grey and white flowers (all included)! Isn't that beautiful!? I layered blue patterned paper behind the mason jar to look like water was in the jar. A look at part of what comes in this Love Jar Kit! I've been making some quick and easy projects and posting them only on Instagram. Kind of a more casual way of posting some cards without a full blog post, etc. This gives me freedom to create more on the fly. I also added a new link to feature on my Instagram bio that shows pictures of the projects so it's easy to click over to my blog. Instagram has quickly become my favorite social media sharing platform. I get so inspired! Also, I went through and updated my Pinterest Boards to have better titles and more useful content. I'd love to see you over there too! What is your favorite way to share? Hey there FOXY friends! How are you? How is your week starting off? I'm doing fine, except for allergies! Oh my, every year... It's so gorgeous outside but all I see are little pollens trying to attack me and make me miserable! Things are sure gorgeous in my neighborhood though. I love it because all the big trees are green and lush from the rain and then the sunshine. So, I'm stocking up on the Claritin! How are things in your part of the world? Has spring come yet? I know a lot of people are still getting snow! This year is rolling on and it's April already. Last week i got over three inches cut off my hair! It feels so good - don't you love a good haircut?? I went to a fun Pampered Chef party over the weekend. My friend just started selling it and there are so many cool gadgets. It was a great time. Tonight is my Tuesdays Together meetup which I look forward to so much every month. All in all, life is pretty mellow here where I am. And that's just fine with me! I'm trying to do more Instagram stories, so if you have Instagram - follow along with me over there. I'd love to see ya! Mostly I just share my day and what I'm doing - nothing too fancy. I've been doing some design work and photography for the wonderful and lovely people at Honey Bee Stamps! Such a complete pleasure to work with Melissa and her team. She brings me joy and happiness with her designs and her generous spirit. 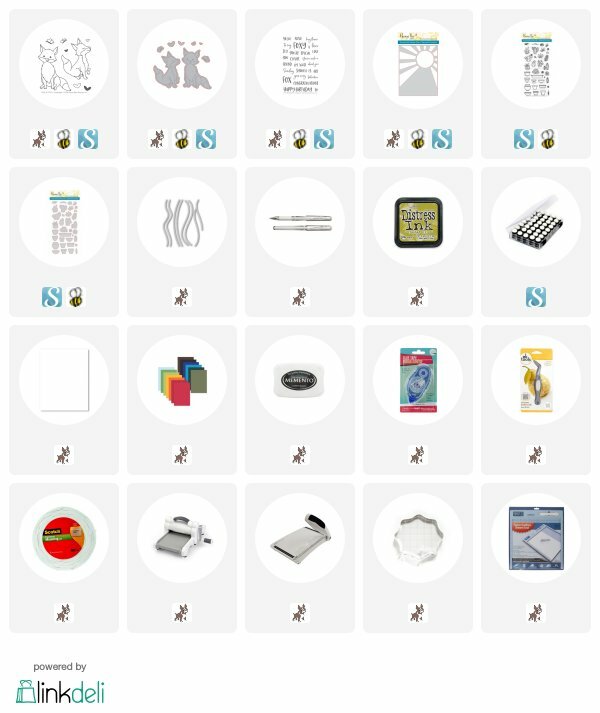 If you're new to Honey Bee Stamps - please CLICK HERE to check them out. Their stamps are such high quality and so cute. I think they also have hands down the best selection of embellishments!! There's a new release coming later in the month!! Today I'm using some things from the last new release and they are FOXY! OMG I adore these cute foxes. I've seen a million cute cards made with them already. I tried to think of something new I could do...and here's what I came up with: Desert Foxes! As you know I've been to Phoenix twice this year already so the desert is on my mind. I combined the cute foxes with some of the stamps from the succulent set and voila! Also, can we talk about that sunburst die???? Seriously.... Okay, here's my card. I started with a white A2 card base. I made the Sunburst Die portion first using yellow and white cardstock. It cuts like a dream and assembles so easily! For the center of the sun I cut out an extra yellow piece and popped it up with foam tape. I stamped the sentiments inside the sun and edged the circle with Wild Honey Distress Ink and a sponge. That formed the start of my card. Next I stamped and die cut out the two foxes, the hearts, the butterfly, and the succulents. I also die cut two hills using the stitched slopes dies (supplies listed at the end of my post!) The hills were inked with Crushed Olive Distress Ink. After I had all the pieces cut out, I had fun coloring everything with my Copic Markers! YAY for coloring! I added small accents of white ink with a gel pen for some highlights. Those foxes are so adorable!! In this photo you can see how I tucked the cacti and the plants in and around the hills on the card. I really wanted it to look like they were out in the desert. The sentiments in the matching stamp set are really fun and work for lots of other cards. I really love how Honey Bee does their sentiments stamp sets in pieces so you can mix and match them and easily fit them into the space you have on your card. Hi there! Happy weekend! I'm popping in with a cute and silly card made with some awesome stamps from Sweet Stamp Shop! I'm going to be doing a bit of guest designing for them later this month but I couldn't wait to share something right now! I looooove anything with bears - that is my college mascot, and I love to stamp bears on stuff. LOL. So I have a pretty cool collection of bear stamps going on! I especially like to stamp them on envelopes! Sweet Stamp Shop has freebies with their stamp bundles and the bear I'm using today was a freebie! Even better! I've been super duper busy in my studio - so much going on right this moment. I just mailed off my cards to Hero Arts for the new Summer Catalog! Can't wait for you to see all the new stuff. And I've had lots of photography jobs lately too. Life is good right now. I hope you are doing great too! This bear from Sweet Stamp Shop is totally adorable. I stamped the bear twice and added a bow to one of them to be a girl (awwww).... And I completely love the sentiment! 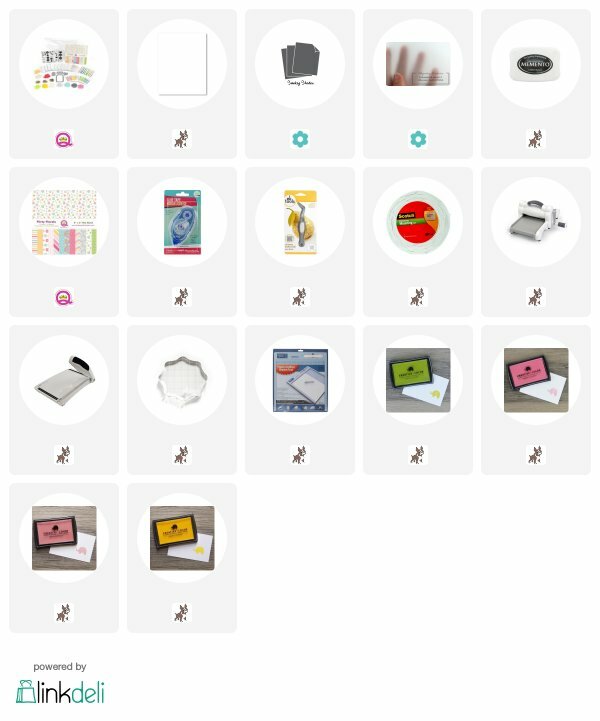 I am not an affiliate for Sweet Stamp Shop so no links for this post. If you want to check out their awesome stamps CLICK HERE! 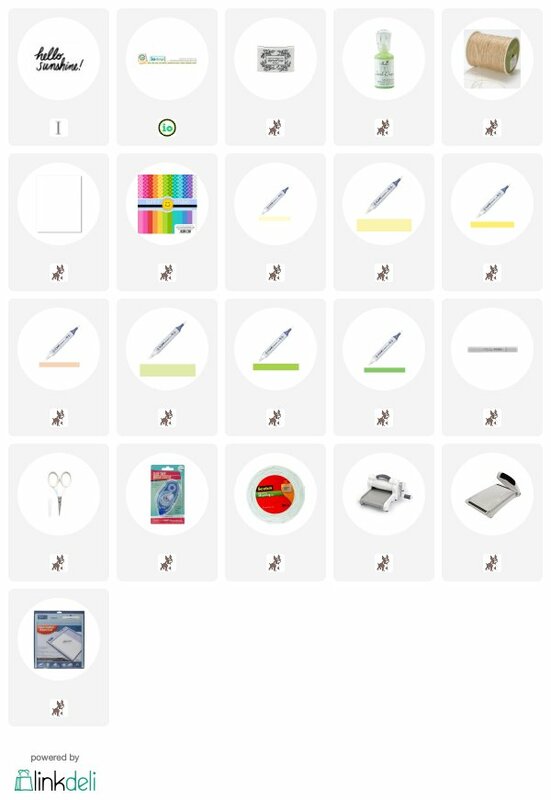 They have tons of planner stuff too! It's a fab company that I've been a fan of for years. I used a clean layout with my fav color palette of kraft and red, and I did some watercoloring with my new watercolor palette from Mijello. This paint palette is expensive but I am already noticing how much I love it better than my other water colors. And I think with the amount of paint you get, it will last forever! HOW cute are these bears!??? I stamped them twice on a white panel and added the sentiment at the bottom and the tiny heart bubble at the top. I layered the top panel onto some red cardstock and then onto my fav gingham paper. The card base is A2 size in kraft. I think the world does need more love notes and happy mail!! Here they are peeking out from the bottom of the front of the envelope! EEP. Fun with FSJ - Oh Happy Day! Helllloooooooo! I'm excited about the card I'm sharing today! It has A LOT going on! I am SO inspired by people who sew on their cards and scrapbook pages, and it's been a long time since I've done that myself. So I challenged myself with sewing! I ended up making a cool, funky card with vivid 80's colors and a neat alphabet...and sewing! All the stamps and dies for this project are from Fun Stamper's Journey. Their new seasonal catalog launched this week and I used some of the brand new stamps. I love their stamps and dies. Super easy to work with and super high quality. I traveled to Phoenix a few weeks ago to meet with their creative team and tour the warehouse. I got to see the new items coming up - you're going to love it all!! I am not an affiliate for FSJ - they are sold by Journey Coaches. PLEASE CLICK HERE to shop FSJ! I started with a crisp white A2 card base and layered on some of the FSJ patterned paper that looks like denim!! (LOVE) The center panel has all kinds of things going on! Liquid watercolors, die cuts, gems, stamping, butterflies, sewing, paint splatters.... Should I go on? LOL. I die cut out the letters to spell OH HAPPY DAY from the Marquee Type Die Set. I used a beautiful lime green. I splattered black paint onto the letters and set them aside to dry. I watercolored the background in green, purple and aqua with water and liquid colors. Kept it very organic and free hand. I dried the panel with my heat tool. The butterflies were stamped and die cut and then colored with liquid colors and a bit of water. The are from the new stamp set called Small Things. The sentiment is from another new stamp set called Celebrate Everything! Whoop Whoop! Don't mind if I do! I attached the green letters to the card panel with just a small touch of adhesive tape to hold them in place. Then I went over to the sewing machine and gave them a quick back and forth. I tried to make wavy crooked lines and I think it came out kinda fun! Another AMAZINNNGGGG product from FSJ are these Rainbow Drops gems! OOH LA LA! They are so beautiful and sparkly! When I attached the butterflies onto the card, I only glued down the center of them. Then when the glue was dry, I gently bent the wings upwards with my fingers. They can fold back down flat for mailing. Stamping for Autism Awareness - Blog Hop 2018! Hello everyone and Happy Monday! I am participating today in a giant blog hop in recognition of World Autism Awareness Day. CLICK HERE to read more about WAAD. We are blog hopping to bring awareness to the topic of Autism because it truly affects all of us. Our cards today are meant to be cheerful and encouraging because we want to celebrate the warriors out there doing the best for their loved ones. There are lots of crafters joining in today, lots of company sponsors, and lots of prizes. If you're new to my blog today, welcome! Nice to see you here. To start at the beginning of the hop, and to read more about it, please go to Veronica's Blog! 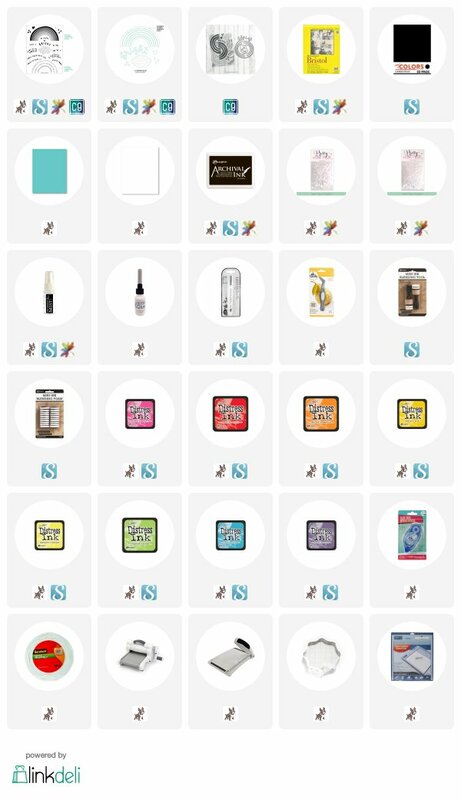 At the bottom of her post is the link to all the designers AND prize information! Also, two companies have designed stamp sets just for this cause. All the details HERE! My card today was made with the beautiful new Concord & 9th stamp and die set called Rainbow Wishes, and LOTS of mini Distress Inks! I really piled on the color and brightness today! I've been wanting to use this stamp set, and this seemed like the right occasion. I loooooove the font, and the sentiments in it. And I always love rainbows in crafting - I call these 'wonky rainbows' because they are not perfect and I love that too. (Just like me. LOL. Maybe I'M a wonky rainbow!) 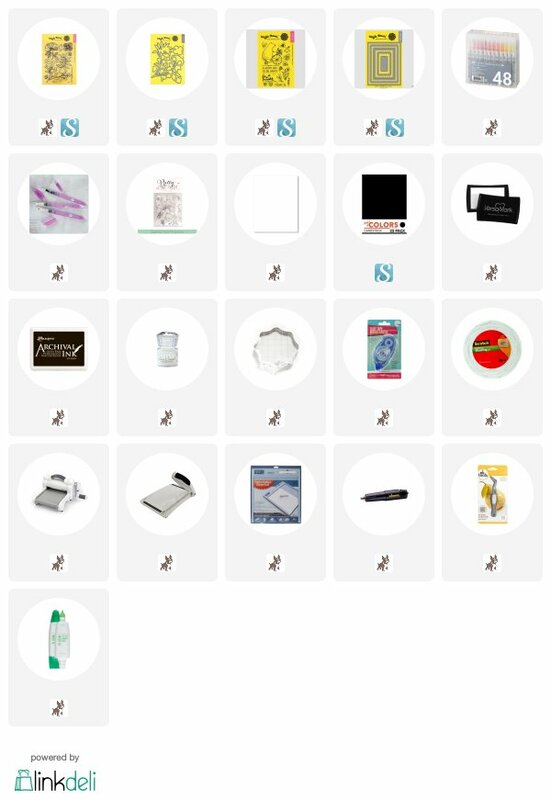 Supplies are linked at the bottom of my post. I popped up one of the hearts with a bit of foam tape. I added small droplets accents to look like water on the rainbow. In this photo you can see the shimmer mist on the pieces! LOVE it! I used a glue pen and my tweezers to attach the die cuts to the paper. I am never far from my tweezers in the craft room! CLICK HERE to see the entire Blog Hop Lineup! Next stop is my talented friend Jill! Happy Easter 2018 from our home to yours! From our home to yours with good wishes!